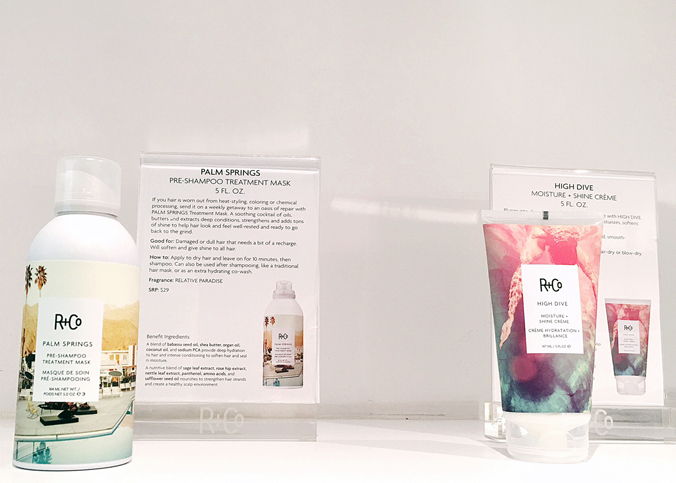 For Fall 2016 R+Co introduces four new products: Palm Springs Pre-Shampoo Treatment Mask, High Dive Moisture + Shine Crème, Cactus Texturizing Shampoo, and Grid Structural Hold Setting Spray. While I was apprehensive to try a texturizing shampoo that requires no conditioner after, I was eager for the Pre-Shampoo Treatment Mask in foam form. Needless-to-say all of the products surpassed my expectations and will be on rotation in my beauty cabinet this fall. If your hair is worn out from heat-styling, coloring or chemical processing, send it on a weekly getaway to an oasis of repair with the Palm Springs Pre-Shampoo Treatment Mask. A soothing cocktail of oils, butters and extracts deep condition, strengthen, and add tons of shine to help hair look and feel well-rested and ready to go back to the grind. Palm Springs is good for damaged or dull hair that needs a bit of a recharge. Plunge into deep hydration and reflective shine with High Dive Moisture + Shine Crème. Formulated to smooth and seal the hair, it moisturizes, softens and drowns out frizz. 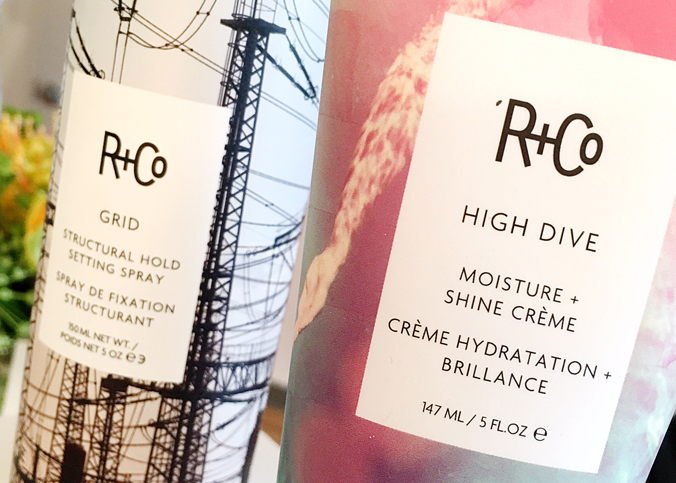 High Dive is good for styles that favor moisture over hold, and smooth-textured looks. Just work through towel-dried hair and air-dry or blow-dry or use as a leave-in conditioner. Texture is a beautiful thing but some of us have stick straight hair and it doesn’t come naturally. 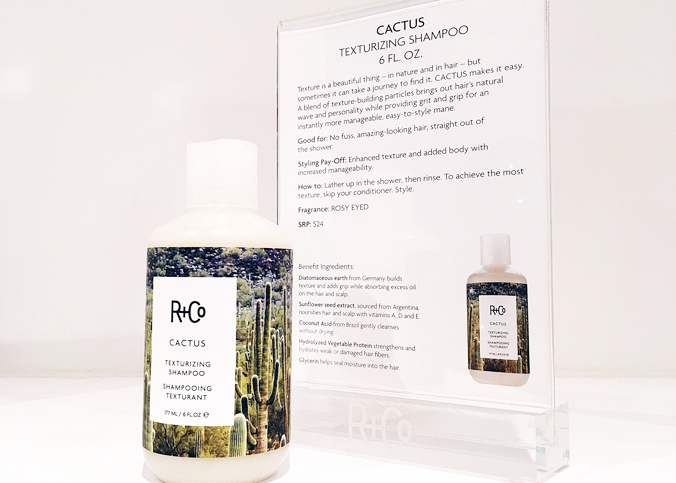 That’s where Cactus Texturizing Shampoo comes in handy. A blend of texture-building particles bring out hair’s natural wave and personality while providing grit and grip for an instantly more manageable, easy to style mane. For fuss-free textured hair, lather and rinse and skip the conditioner. I know it does against all your instincts not to condition but the shampoo’s key ingredient, Glycerin will help seal moisture into the hair. Whether that plan is control, body or volume, Grid Structural Hold Setting Spray helps you achieve a non-crunchy locked-in look. This lightweight setting spray adds style memory to lay the foundation for long-lasting blow outs or curling iron sets, protects from heat, and keeps frizz and flyaways locked out. Unlike hairspray, which is used as the final touch, Grid spray is used on damp hair before styling and blow dry. 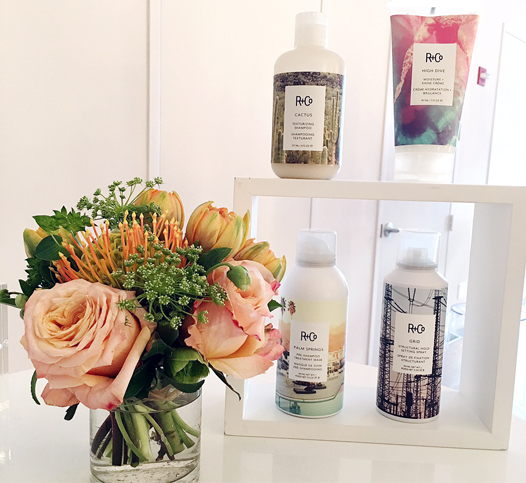 The Fall 2016 products will be available on RandCo.com, Barneys New York, Space NK, NeimanMarcus.com and select salons nationwide at the end of August.